“I remember what it was like before, when I used to use chemicals,” recalls Noorawanduswamy. “I would come home dizzy with a headache and I would be ill for 2 to 3 days after that with a constant headache, unable to get out of bed.” After being introduced to the benefits of organic farming through fold art activities that GREEN initiates, he changed his approach to farming. Since he gave up chemicals, adds Noorawanduswamy, his and his family’s health has improved considerably. 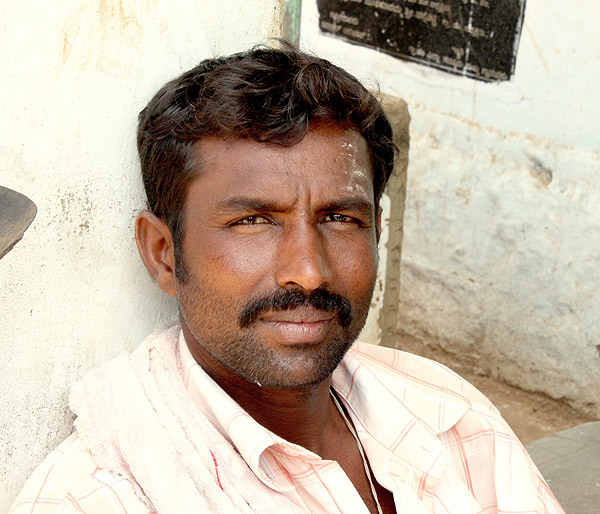 An advocate of organic farming, Noorawanduswamy received certification through the Participatory Guarantee System (PGS) to become an organic producer in 2009. PGS is a quality assurance system for consumers and buyers of organic produce that is particularly suitable to small scale and marginal farmers like Noorawanduswamy. They can ill afford the costs of expensive third-party certification but still strongly uphold all the principles of organic farming and wish to increase their economic returns. “I joined PGS at the suggestion of GREEN,” he says. GREEN initiates the process of certification in communities of Kanakapura Taluk in an effort to strengthen the economic security of farmers. PGS in Kanakapura is based on a system of peer appraisal whereby interested farmers who take up organic farming establish a group that forms a core unit throughout the process of certification. Members within a group are then responsible for evaluation of their peer’s farms to ensure that all farmers are upholding organic farming guidelines and principles. In the beginning, says Noorawanduswamym, his group of enterprising farmers faced many challenges. “Initially, people were not responsive or ready to come. They needed to be convinced; we had to keep calling them. We didn’t know how to share things equally within the group,” says Noorawanduswamy. GREEN facilitates and trains farmers through the PGS process to help groups overcome their challenges. Thanks to many training sessions, exposure visits and other intervention programs such as rare variety demonstrations, Noorawanduswamy is now a leading organic farmer in the village of Kolagondanahalli. He is also a member of the internal assessment committee of his PGS group, responsible for, among other things, monitoring of farms, inspections, knowledge dissemination etc. He empowers farmers within his group by sharing what he has learnt and teaching others about sustainable agriculture and preparation of organic inputs. The activities of his PGS group raise a lot of curiosity and interest among members of his community. “We go constantly to each others farms and during such times community members gain interest about what we do and ask us about it,” he says. According to him, a very positive impact of PGS is the increased knowledge sharing and information exchange among farmers that is helping to spread organic farming principles within his community. More importantly, this knowledge sharing has had a very positive impact within his own family. “I consult with my wife now about running the farm, much more than I used to before. She takes care of all the seed management and we discuss about what would work best for the farm,” says Noorawanduswamy. A very unique aspect of PGS is that it lays emphasis on a joint approach based on trust and accountability of farmers in a group. This encourages strong ties that give farmers a group advantage: “It’s easier to convince other farmer to join organic farming and PGS if we work together,” says Noorawanduswamy. Farmers within a group also cut down costs of labour, working on each other’s farms in a team effort to meet their labour requirements. This group is crucial to joint marketing initiatives which allows for shared management, giving farmers with poor education the benefit of the collective wisdom of their peers. It also helps cut down costs such as transportation, packaging etc, adds Noorawanduswamy.